Next Sunday the 15th March is Mother's Day or Mothering Sunday to give it its full title... If you were wondering how to treat your mum on this occasion let me introduce you to the Gin-Inspired Afternoon Tea at the Tower Bridge Bar & Lounge - TwoRuba. Yesterday I got to try it out for myself and I have to say it was really rather nice! We were shown to our table which featured comfortable high backed chairs and a small black round table, sat back and relaxed. The atmosphere was chilled, we really liked the ambient music playing in the background. The clientele on the day was a mix of business people and those who were, like us, visiting for pleasure. 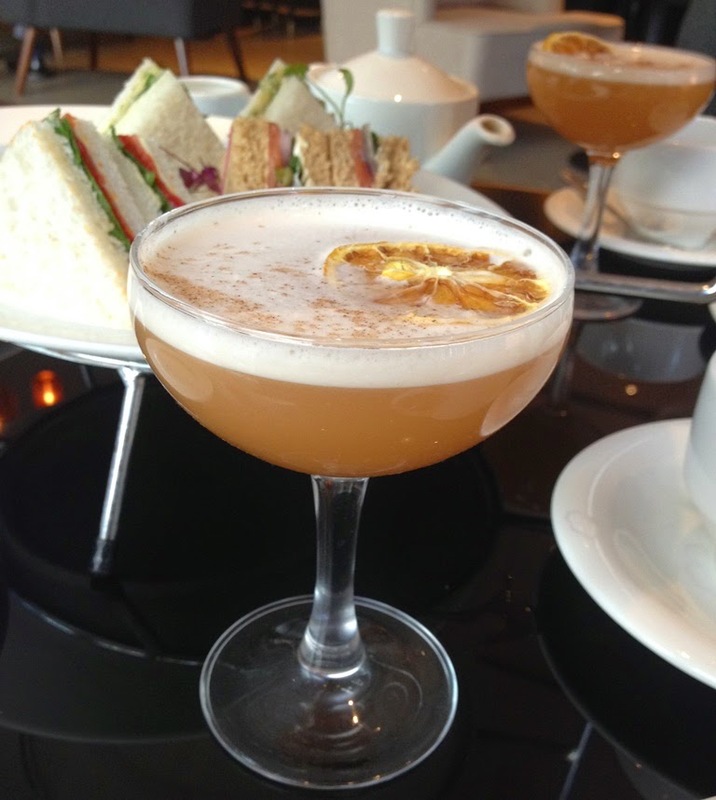 This Afternoon Tea starts with a delightful Mother's Ruin cocktail which is made from Plymouth Gin, a touch of Vermouth, grapefruit juice and Champagne. The cocktail tastes zesty and refreshing, and is of course presented beautifully with a dried lemon garnish. 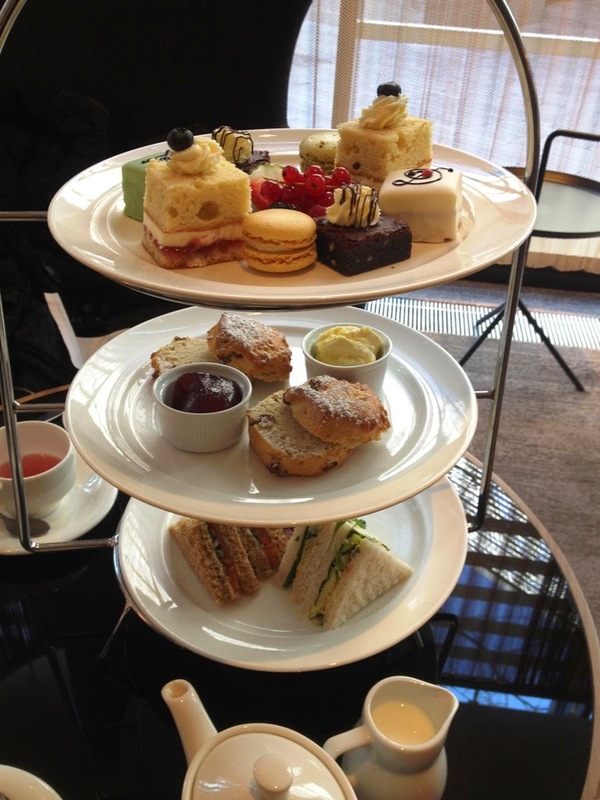 This is followed by a traditional afternoon tea of sandwiches, scones and sweet cakes. There were three sandwiches each which at first we thought wasn't going to be enough but actually was plentiful as by the end of the afternoon tea we were very full! 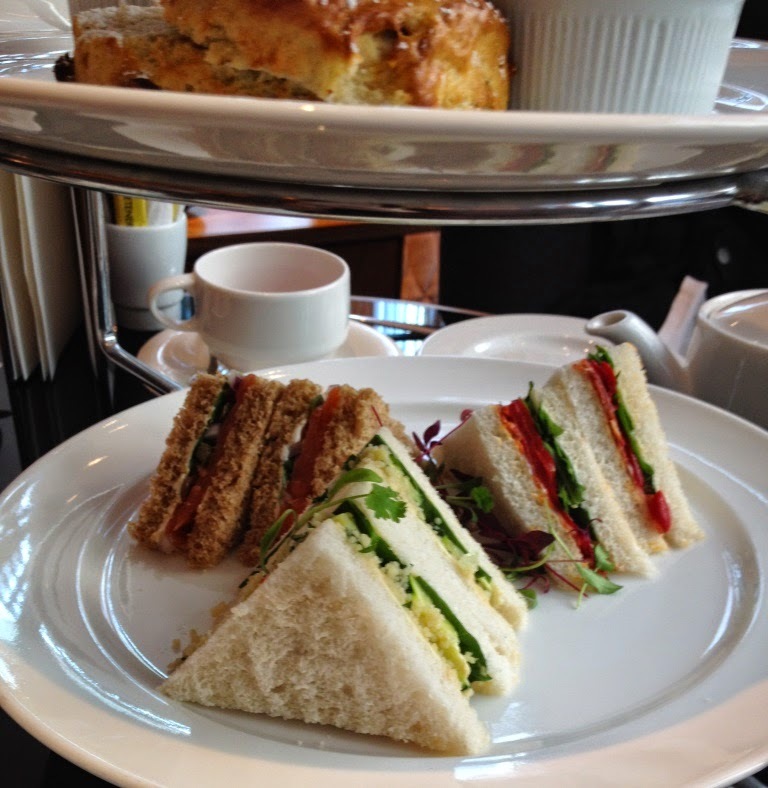 The triangular cut sandwiches were extremely tasty and full of flavour with non traditional afternoon tea fillings. The raisin scones were some of the best I have ever tasted and exactly how I like them. They were of a generous size, crispy on the outside and perfectly moist and composed inside. Absolutely delicious and moreish. There was two of each cake and there was a little addition of some fresh fruit which ended Afternoon Two nicely. To accompany our Afternoon Tea my companion drank English Breakfast Tea, I chose Assam and also tried a Mango & Strawberry fruit tea. They were all good but the Assam was a stand out for me. 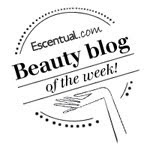 The service was friendly and we found the staff to be helpful. For a relaxed and laidback Mother's Day treat I would highly recommend it. 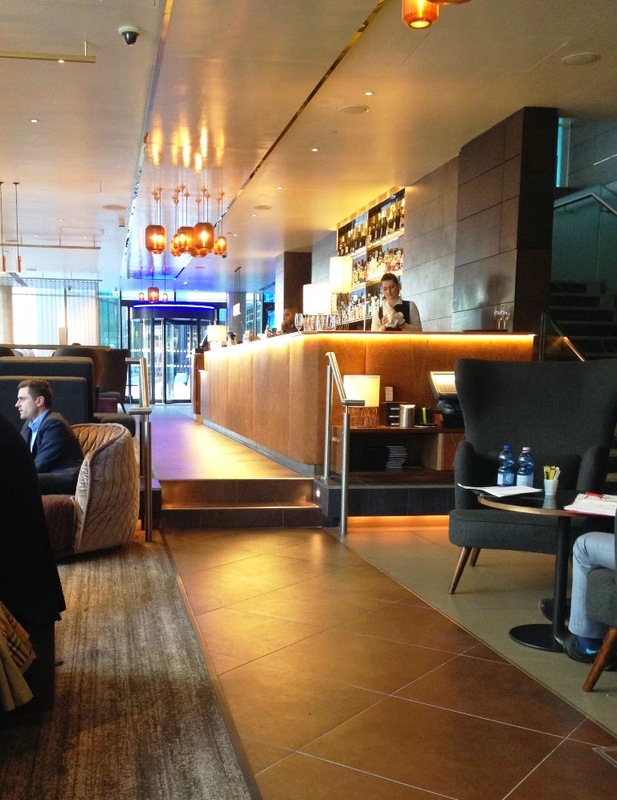 We are already planning to return to TwoRuba to try out the Espresso Martinis! 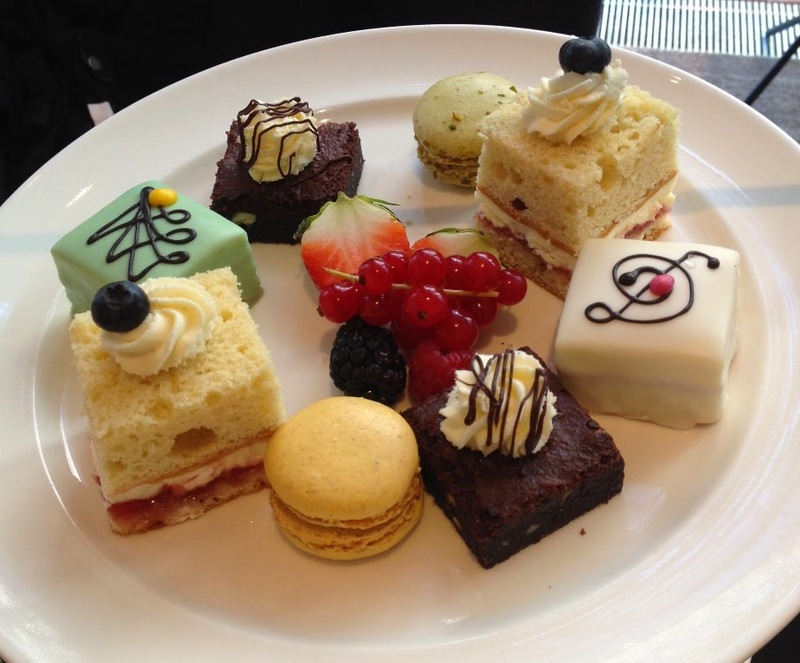 The Gin-inspired Afternoon Tea at TwoRuba is only available on the 14th & 15th March 12-5pm and costs £31 per person. Alternatively why not just pop in for the Mother's Day Ruin Cocktail which is also available 14th-15th March for £11.